The countdown to Thanksgiving has begun in our house and I simply can’t wait to gather around a table filled with delicious local food and drink. We are so lucky to live in an area with plentiful options to fill your thanksgiving table. Here are a few spots I’ll be visiting soon to stock up. There are several options for finding the perfect centerpiece for your meal. I just called to reserve mine from The Organic Butcher for pick up on Tuesday. They are getting them in fresh so you don’t have to worry about thawing. At about 3.50/lb for the all natural and 4.50/lb for the certified organic I decided to spring for the organic but I don’t think you could go wrong either way. The dish with the most variability from table to table has got to be dressing/stuffing. In my family, it is only stuffing if cooked in the bird and dressing is the same mix baked separately in a dish. So far I’ve managed to make dressing from scratch each year but if you are looking for a helping hand with the biscuits, cornbread, or breadcrumbs you couldn’t find a better place than BreadWorks Bakery and Deli. If you aren’t familiar with their mission here’s a quote from the website, “owned and operated by WorkSource Enterprises which has provided job training and employment to persons with disabilities since 1967.” Can’t beat good food for a good cause. I have said it before and I’ll say it again, I love the downtown farmers market. I’ll be stocking up on kale, sweet potatoes, onions, garlic, squash and all of my other produce needs this Saturday. I know some families with as many pies as there are people at their thanksgiving table. While not a fanatic, I have to say it would not be thanksgiving without at least one pie. This year Family Ties and Pies’ apple crumb will be on our table. You can pre order or pick up one of their pies while you are at the farmer’s market. You can find me in either the downtown or uptown location of Market Street Wine Shop at least once a week between all of their incredible free tastings. On Saturday I chatted with Thad and came up with a full wine list for the evening. Their staff is always so helpful and knowledgeable they will be able to help you pick out the perfect cider, wine, or beer for your holiday get together. Among many other things, I am truly thankful for living in a town with a bounty of local farmers and smaller specialty shops that provide such high quality goods. This holiday season I will choose to show my gratitude for what this lovely town has given me by giving back one shopping trip at a time. Happy Thanksgiving! All kitchen photos shown are in homes currently available for sale. Visit www.loringwoodriff.com for more information. Central Virginia is famous for its beautiful leaf change in the fall. Combine that with gorgeous panoramic mountain views and the scenery is simply stunning. Autumn will be over before you know it so now is the time to get out and enjoy the view at any of these great Charlottesville locations. Open daily from 9-5 Carter’s Mountain is the perfect place for some family fun. 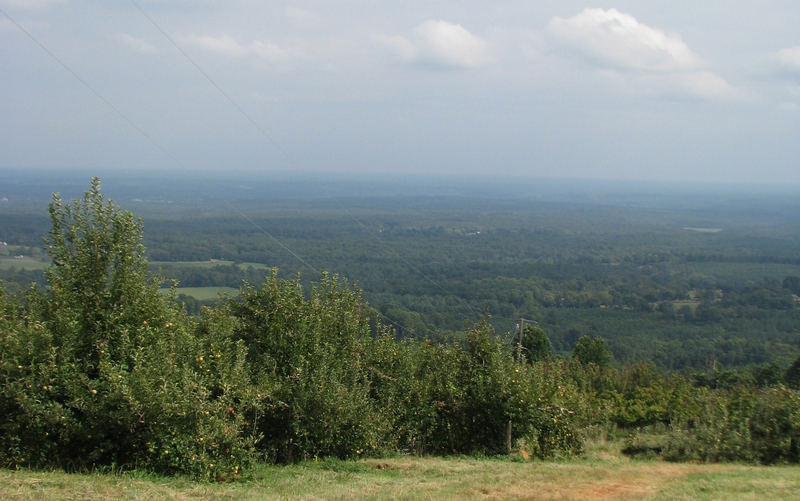 There is no better place to enjoy some hot apple cider, go apple picking, find the perfect pumpkin, or even taste some wine all while enjoying the view. This is where my family goes every year for our annual photos as it has great backdrops and afterwards we get to enjoy all of the tasty treats. Blue Mountain is much more than a brewery with its beautiful restaurant and great menu. If beer is your thing they certainly won’t disappoint with several solid flagship brews and an ever-changing seasonal menu mixing it up. The food is always great as well. I still dream about the pulled pork, peach, and goat cheese pizza they had a few summers ago. My gluten free friends love coming here too with their accommodating menu and knowledgeable staff. Thomas Jefferson chose a plum spot for his personal estate. Go for a tour, check out one of their many events, or enjoy the view as a volunteer. They will even host private events for your guests to enjoy the breath taking scenery. 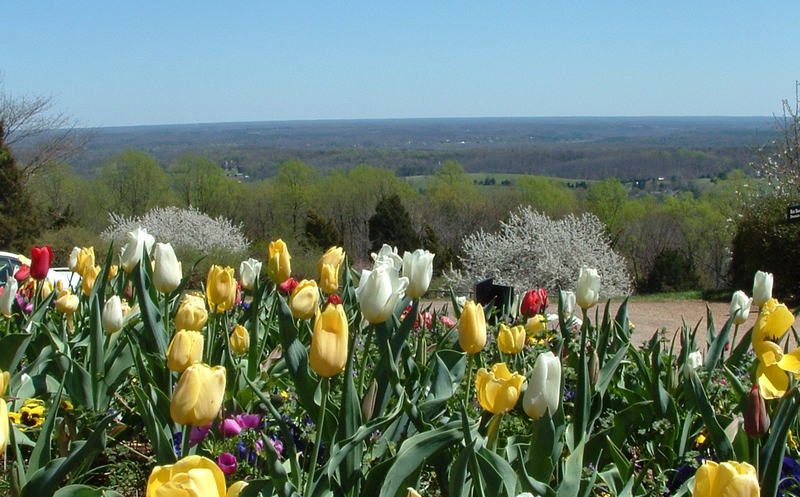 One of central Virginia’s premier vineyards offers some of the most beautiful views in Charlottesville. The lovely setting makes it one of the top wedding venues on the east coast and a must see for any wine enthusiast. Runner up vineyards with great views include King Family, Grace Estate, and Afton Mountain. One of my personal favorites, this hiking trail offers the best views of the area. It may be quite steep but the climb to the top is worth it. 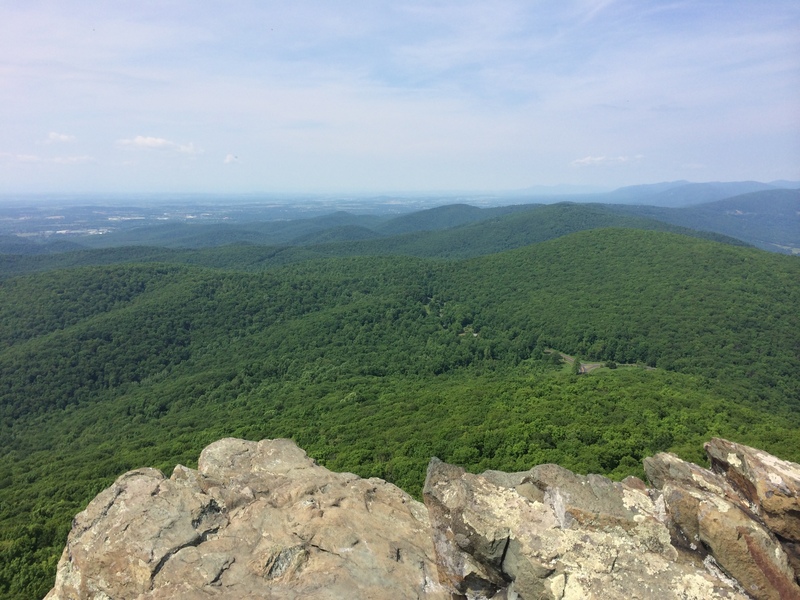 Pack a picnic and perch somewhere sunny on the rock outcrop to rest before heading back down. While each of these venues are lovely, there really is nothing like enjoying the view out your own front door. Check out these properties that offer magnificent views. This is a front porch where anyone could spend a Sunday afternoon taking in the view. This Mediterranean inspired home offers the quintessential mountain view of your dreams. River and creek view from the master of Moriah.